Lucius Clodius Macer was a legatus of the Roman Empire in Africa in the time of Nero. He revolted in May 68, cutting off the food supply of Rome. 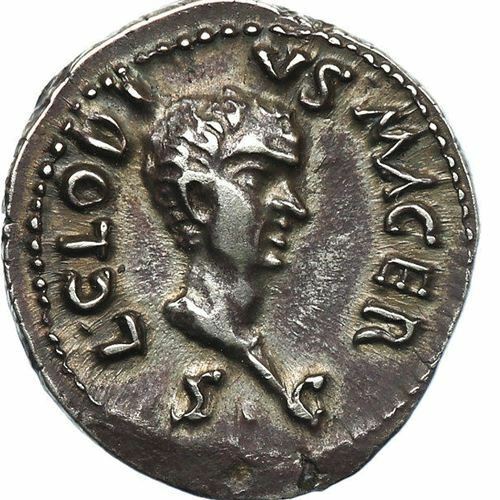 Macer raised a legion Legio I Macriana liberatrix in addition to the Legio III Augusta that he already commanded, raising suspicion that Macer also harbored imperial ambitions, and in October 68 Galba had him killed by the procurator Trebonius Garutianus. He produced denarii which are extremely rare. Only about 85 exist, of which only 20 bear his portrait. His decision to portray himself without a laurel wreath or a diadem is evidence that he wished to portray his revolt as being against Nero, not the senate.